Julie's Stamping Spot -- Stampin' Up! 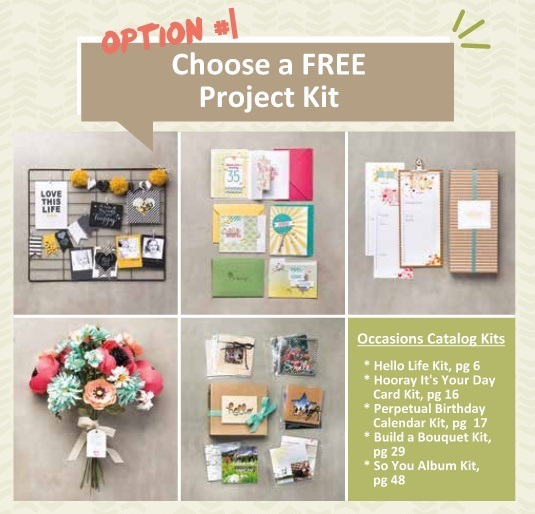 Project Ideas by Julie Davison: Occasions Catalog + Sale-A-Bration Start Today! Want a little bit of everything? 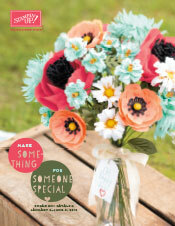 Be sure to check back for details about my Occasions Catalog Product Share! The Occasions Catalog supplements the Annual Catalog and is available from January 6 to May 31, 2015. SHOP: Get one free gift for every $50 in merchandise that you order. No limit! 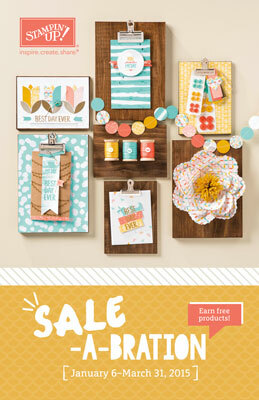 Click here to view the Sale-a-bration Gift Options. Shop Online Now. Add your merchandise to the Shopping Cart and then choose your free gift selections when your check out. HOST a party or private class and get an extra $25 in FREE merchandise when your party total is over $250! 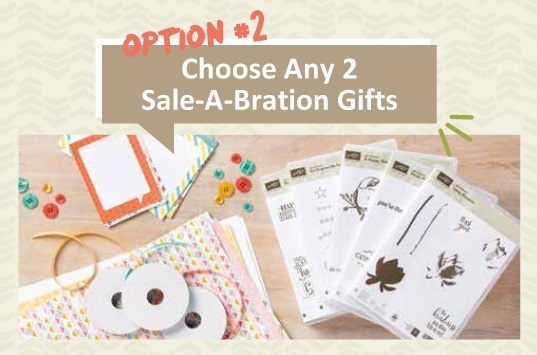 Long distance stampers -- ask me how to "Party By Mail"
JOIN Choose one of the following limited-time Sale-a-bration offers when you join my team as a Demonstrator during Sale-a-bration. 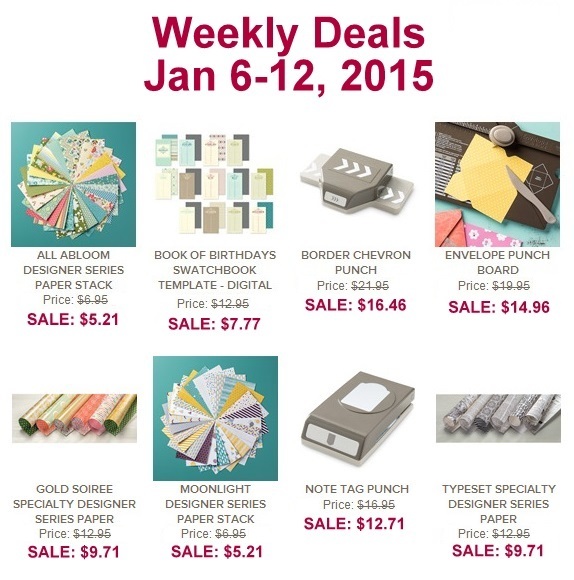 The $99 Starter Kit includes $125 in Stampin' Up! product of YOUR choice!